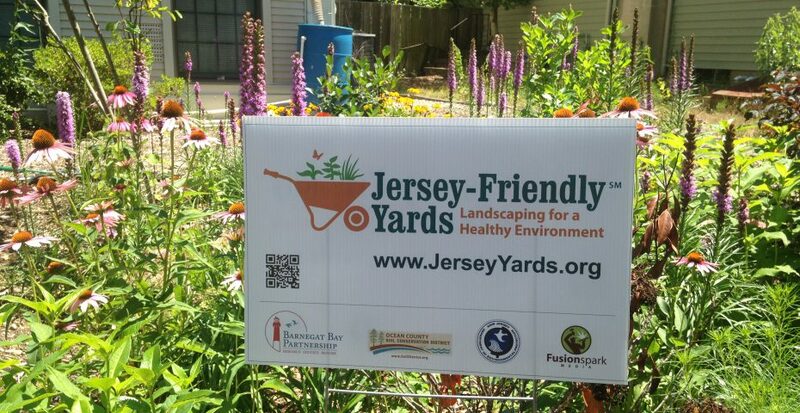 Jersey-Friendly Yards was developed by the Barnegat Bay Partnership through a grant from the New Jersey Department of Environmental Protection (NJDEP). The Jersey-Friendly Yards website is a comprehensive online source of information about environmentally friendly landscaping throughout New Jersey. The website brings together multiple resources about the best landscaping practices to help property owners make sound decisions for a healthy yard, environment and a healthy economy. The site was designed and built by FusionSpark Media Inc. in Medford, NJ. Through funding from the Barnegat Bay Partnership, the Ocean County Soil Conservation District has spearheaded numerous projects involving the installation of native plant gardens throughout Ocean County using the Jersey-Friendly Yards website as a resource. OCSCD is also providing a series of “Experience Jersey-Friendly Yards” programs. Join us for one, or all of these programs, where we will be giving away Jersey-Friendly plants (while supplies last) to pre-registered attendees. Be inspired by these projects, explore the Jersey-Friendly Yards website, attend a program, and create a Jersey-Friendly yard or garden of your own!